I have been saying for some time that I want a car that was manufactured the year that I was born. Something sporty and cool that I could play around with by customizing, somewhat of a never ending project. After visiting a few JCCS (Japanese Classic Car Shows) and digging thru the Internet I came up with a couple of choices that fit my personality, style and taste and started putting together a list. One day I will get it narrowed down and pick something up to start working on. Now a close friend of mine (I use that term lightly as we have never met) is a host an automotive YouTube channel packed with a lot of cool cars and bikes, technical info and humor. 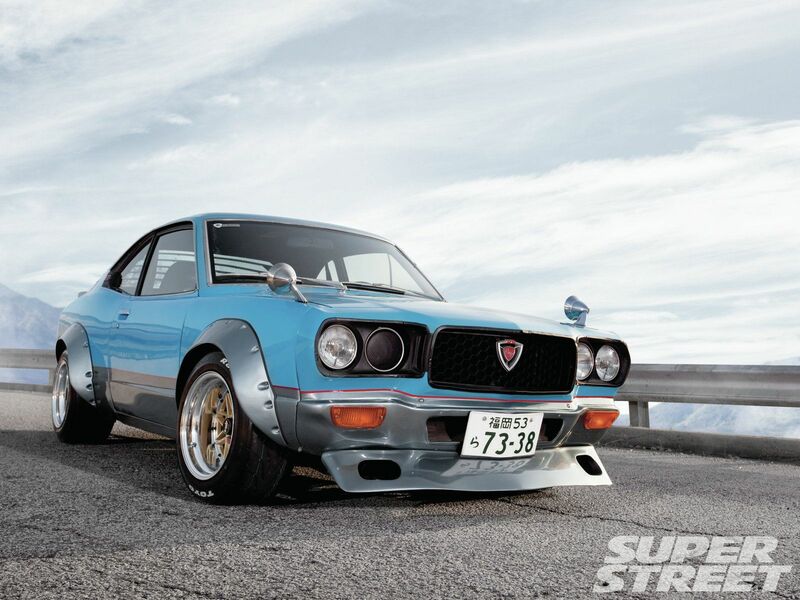 You may have heard of him…Jay Leno, the greatest late night talk show host and a true car guy. Any person that uses an airport hangar to house his collection of daily driven automobiles is truly a legend worthy of a mention in mostly every car discussion. 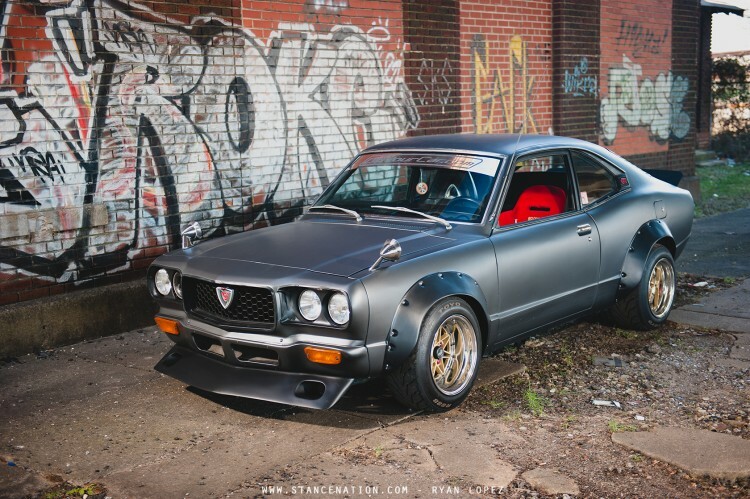 Scrolling thru his channel the other day I came across one of those cars on my list of possible project cars. The great thing about having a passion for cars is that there are so many styles, makes and models to appreciate so you can’t really get bored. There is always something to get your pulse rate up and the little Mazda in the video below is definitely no exception. 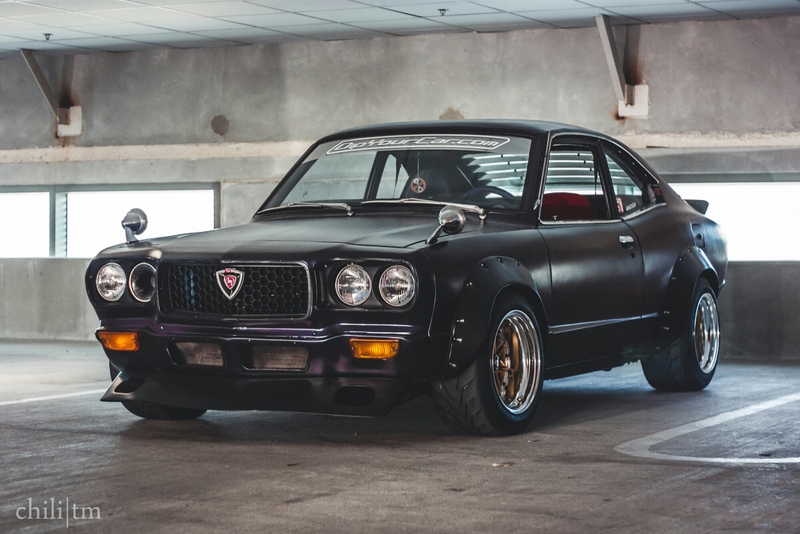 It’s a 1973 Mazda RX3 with lots of custom touches. Not only does it have a heart transplant from its biological grandson the RX-7, but it’s turbo charged pushing out around 400hp. The Mustang GT cranks out 435, but weighs over 1000 pounds more. According to the owner of this lil 3 the car is fast enough to take a Porsche off the line in a race. With 400hp on tap and weighing less than 2200 pounds, its not surprising that it has an incredible power to weight ratio.